The World Bank has revised downward its forecasts for the economic growth in Belarus in 2019-2021 amid growing worries about possible crisis if Minsk fails to secure full compensation from Russia for losses triggered by the latter’s new energy taxation system. The multinational lender has revised the growth from 2.7% year-on-year to 2.2% y/y in 2019, from 2.5% y/y to 2.4% y/y in 2020 as well as from 2.5% y/y to 2.1% y/y in 2020, according to its Europe and Central Asian Economic Update published on April 5. The World Bank said that the country’s economic growth will depend on the results of Minsk’s talks with Russia on compensation for the latter’s so-called tax maneuver in the oil sector. Without any compensation from Moscow, the economic growth would decelerate to below 2%, while under the worst-case scenario the country faces recession. The Belarusian economy grew by 0.8% year-on-year in January and February following 0.7% y/y growth in January, according to national statistics agency Belstat. Belarus’ GDP grew by 3% y/y in 2018 after a 2.4% y/y expansion in 2017 after two years of recession. It contracted 3.9% y/y in 2015 following 1.6% y/y of growth in 2014. In January, the International Monetary Fund (IMF) said that Belarus faces a new economic crisis if Minsk fails to secure full compensation from Russia and told Minsk it had better prepare a “plan B” in case there was no money forthcoming. According to the IMF, medium-term growth in Belarus is projected at 2%, limiting convergence towards the income levels of richer neighboring countries, according to the multinational lender. However, this modest outlook is “conditional” on full compensation from Russia. “Should compensation be significantly less than full – and this is the key risk hovering over the Belarusian economy at this stage – medium-term growth could be materially lower than 2%, and the budget and current account deficits higher than projected above,” the IMF said in its statement. Russia’s tax maneuver in the oil industry envisages a gradual reduction in the rate of export duty on oil and petroleum products from 30% to zero in the period from 2019 to 2024 and a proportionate increase in mineral extraction tax on oil production. According to the Belarusian finance ministry, the country’s budget revenue losses from the tax maneuver in 2019 alone were estimated at BYN600mn ($300mn), and that the losses might total $2bn by the end of 2024. However, in December, a spokesperson with Belarusian President Alexander Lukashenko said in a televised interview that Minsk already lost $3.6bn due to Russia’s cut of energy subsidies to Belarus. Belarus could lose another $11bn within the next four years, the spokesperson added. In November, the International Monetary Fund (IMF) warned the Belarusian government to be prepared “contingency plans” if energy negotiations with Russia fail. “Although the government sees a low probability of less than full compensation for the tax maneuver losses, contingency plans would be helpful if such an event were to materialize,” the IMF said in a statement. According to the multinational lender, in such an event, oil refining activity would be reduced, dampening export revenue and growth. Tax revenues would also be hit due to lower economic activity, lower transfers from Russia, and lower customs duties. The policy response should aim to mitigate the impact on the balance of payments and facilitate the reallocation of resources in the economy, including structural reforms. “The loss of energy discounts would underscore the need for faster and deeper reform to boost productivity in SOEs, not least in the refineries,” the statement reads. Meanwhile, the IMF believes that exchange rate flexibility to allow the needed adjustment in the balance of payments, supported by fiscal discipline to refrain from untargeted and costly subsidies to the refineries, and with additional measures as needed to maintain debt in a downward trajectory. At the top of that, tighter monetary policy to maintain inflation within the target and limit undue volatility in the foreign exchange market, the multinational lender added. The government forecasts that GDP growth will come in at 2.1% y/y in 2019. The forecast was revised downward (from 4.5% y/y) due to recent changes in the external economic environment, including changes in oil prices and the economic situations faced by the country’s major trading partners, most particularly Russia, and the worth of their currencies. The target scenario was initially based on an oil price assumption of $70 per barrel, but the assumption was eventually reduced to $65 per barrel. Minsk’s forecast also takes into account the negative consequences of Russia’s tax maneuver on Belarus, which will shift the tax burden from export duty on oil and petroleum products to mineral extraction tax (MET) on oil production. 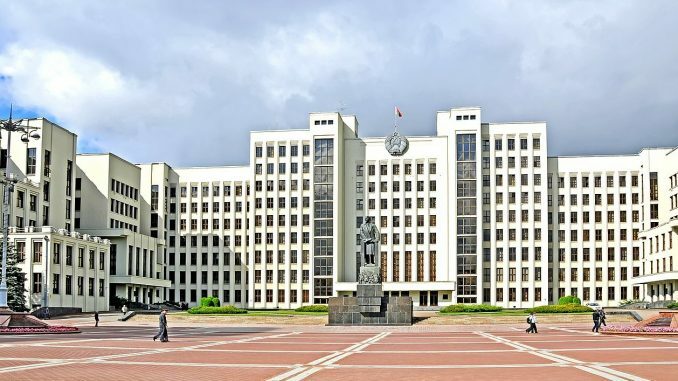 Minsk also forecasts the nation’s GDP growth at 2.5% y/y in 2020, and 2.8% y/y in 2021, according to the cabinet’s medium-term fiscal programme for 2019-2021.